Fascinated by ballet but thinking that one had to start at an early age, I never got the courage to give it a go. When I finally did at age 23, there were very few adult class options in Perth so I joined the Youth Ballet WA school’s intermediate/advanced classes dedicated to its alumni students. In 2013, I moved to Canberra and was delighted to find that CDT offers adult ballet classes of varying levels. I have been a regular student since. In 2018, I attended Dance Master Class in Italy, a three-week summer intensive course in ballet, jazz and contemporary and participated in the final performance. I love the thrill of performing. My other interests that complement my passion for ballet are yoga and barre fitness. In 2018, I also started filling in as a teacher for ballet beginner classes. 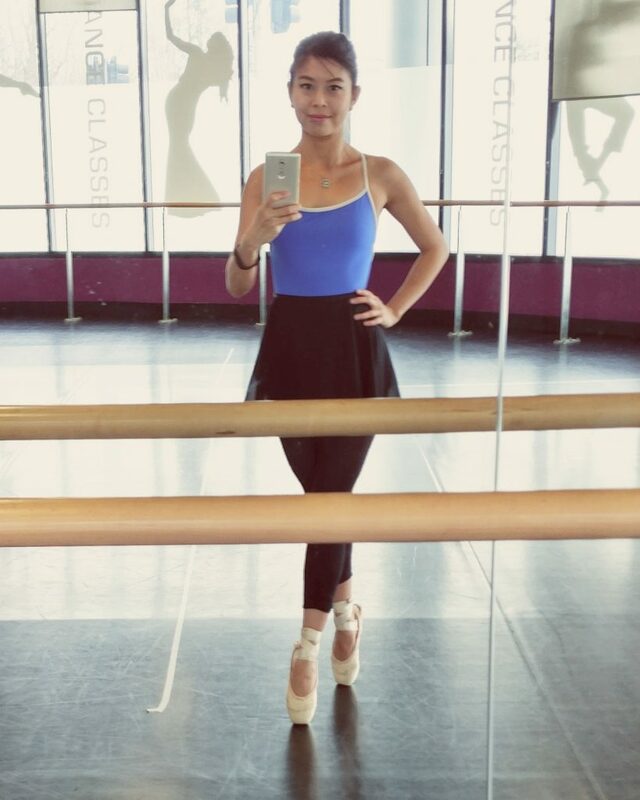 I found that ballet improved my discipline, patience and self-confidence and these qualities spread to other areas in my life. So now I want to share my path as a late starter with other adult students and encourage them to embrace the dancer in them!